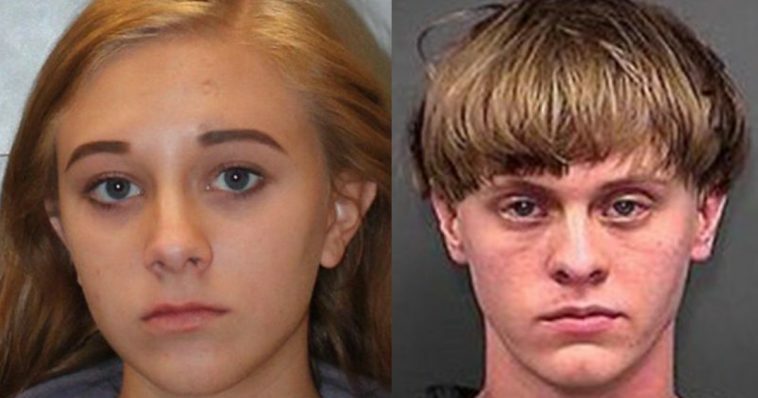 Morgan Roof, the 18-year-old sister of church shooter Dylann Roof, has been arrested. She is in trouble with the law because she brought pepper spray, a knife, and marijuana to her high school. She was arrested on weapons charges and drug charges at her high school, and she was then taken to a detention center. Leon Lott, the sheriff, stated that an administrator notified a school resource officer that Morgan was in possession of the aforementioned items. In his statement, the sheriff said that Roof made a social media post on Snapchat that alarmed other students. The post allegedly suggested a hope that those engaging in a school walkout—one organized to protest gun violence—would be shot. In the Snapchat, Morgan said that she hoped the walkout was a trap and everyone would end up getting shot, adding that students are actually being allowed to walk out for 17 minutes. Morgan expressed the opinion that nothing is going to change as a result of the walkout, and asked what people think the walkout will accomplish. She also added that the people walking out will mostly be “black people”. After her arrest, Morgan was taken to the Alvin S. Glenn Detention Center, which is located in Columbia. According to reports, her bond was set at $5,000. It is unknown at this time if Morgan has legal representation or if her bond has been paid. Her parents are not speaking to the media regarding their daughter’s situation. 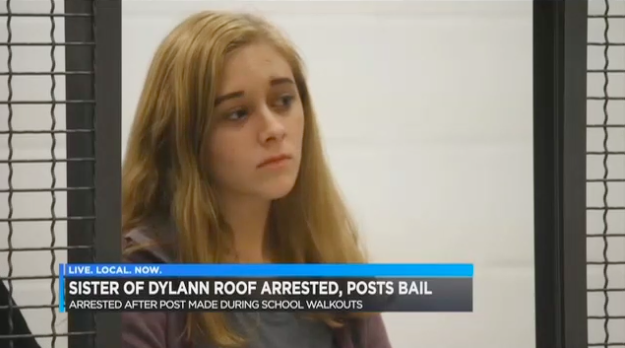 The Snapchat in and of itself was not the reason for Morgan’s arrest; however, in a letter to parents, the principal of Roof’s high school said that there had been numerous events that caused “disruption”. The principal, Susan Childs, wrote that a student used social media in order to post a hateful message. 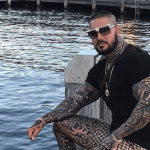 That post, which Childs said was a separate situation, was not a threat. However, Childs wrote, it was extremely inappropriate. According to Childs, that post caused “quite a disruption”; therefore, she wrote, she was handled in a way described as “swift” as well as “severe”. Childs went on to write that, in an isolated incident, the school’s administration was notified of the possibility of their being a weapon on campus. An unloaded weapon was recovered—Childs wrote—because of the diligent work of assistant principals as well as school resource officers. She concluded the letter by writing that the investigation into the matter involves both law enforcement and school officials, stating that discipline will follow the official code of conduct. According to the sheriff’s department, there was a separate case; a handgun was found on school grounds on Tuesday, and two students were arrested as a result. The governor of South Carolina actually tweeted about it all. Governor Henry McMaster stated that potential tragedy was averted at the high school. In two separate incidents, educators as well as students quickly reacted to reports of suspicious behavior and activity. The governor said that the state owes a debt of gratitude to those who acted so decisively and quickly. He pointed out that he has been working with the state’s general assembly for months in order to get a trained police officer placed in every school—all day and every day. The governor concluded by stating that the state doesn’t need any additional debates or committees or deliberation; the state knows what needs to be done, and action needs to be taken now. As we pointed out above, Morgan is the sister of Dylann Roof. 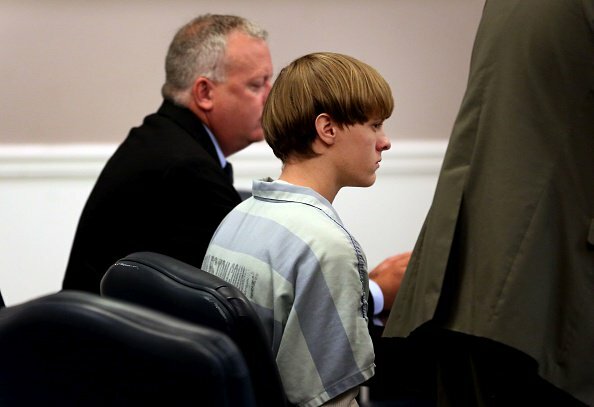 Back in December of 2016, Dylann was convicted of the Charleston church shooting, which occurred during the evening of the 17th of June 2015. He killed nine people, all of whom were African-Americans, during Bible study. 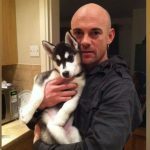 Dylann is known to be a white supremacist who at one point had neo-Nazi beliefs. Prior to the shooting, he had been communicating with other white supremacists online. According to Dylann, he did what he did because he intended to start a race war. He was partially inspired to do what he did by the coverage of the 2012 shooting of Trayvon Martin. Dylann, who is now 24 years old, was actually convicted of 33 federal hate crime charges, and was sentenced to death as a result.